Do you want a low maintenance, cost-effective heating solution? 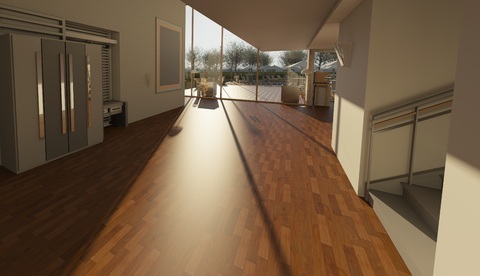 Have a look at getting underfloor heating installed in your home! Why? Keep reading below where we’ve listed a few of the top advantages of underfloor heating. Is there anything worse than stepping out of a nice, warm shower and putting your foot onto what feels like a sheet of ice? No one enjoys a cold bathroom floor, especially during colder seasons. Similarly, nobody wants to go downstairs to make their morning cup of tea to be greeted with a freezing cold floor. One of the advantages of underfloor heating is comfort; walk around freely in your home barefoot and feel all of the warmth it gives off. Underfloor heating covers a much larger area of a room than radiators do. If you have quite a big room, you won’t need to worry about having one side of the room a little colder than another side as the heating from under the floor will evenly distribute the warmth across the whole area of the room. Say goodbye to having to bleed your radiators when the heat is being distributed effectively. Once underfloor heating is installed, it can stay running for years and years needing very little maintenance. This can also make it very cost-effective; this is explained further in the next point. One of the biggest advantages of underfloor heating is the long-term savings you’ll make. Underfloor heating reduces the amount of energy you use and waste; this can make savings on your bills in the long term. As we mentioned above, there is much less maintenance with underfloor heating which also means less money to spend on having it fixed or serviced. To find out more about underfloor heating, contact Mirage Heating & Plumbing Supplies Ltd on 0208 947 6105 or fill out our online contact form.